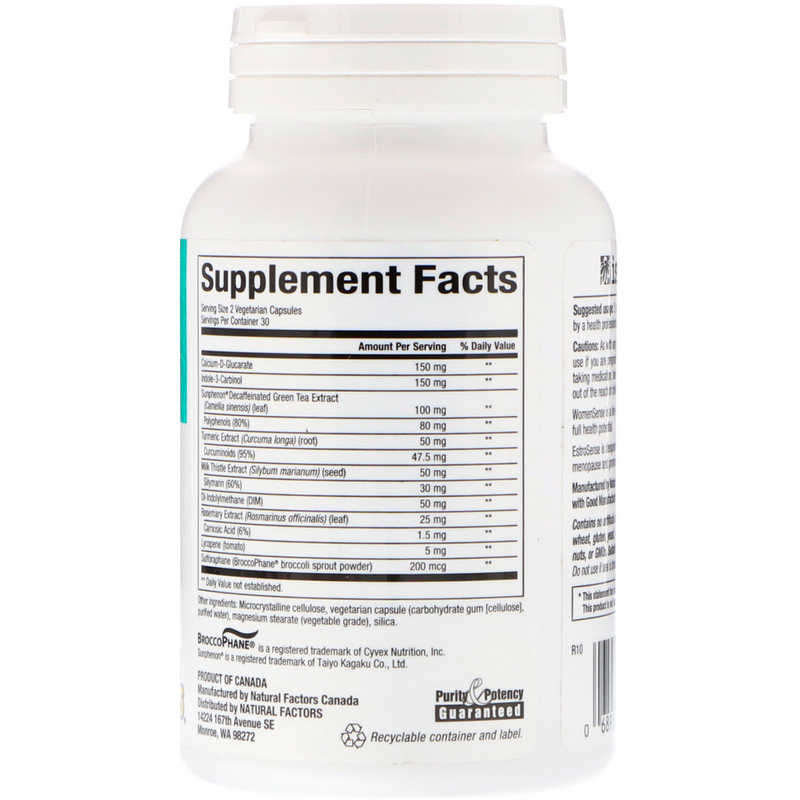 Promotes healthy estrogen balance during PMS or menopause. 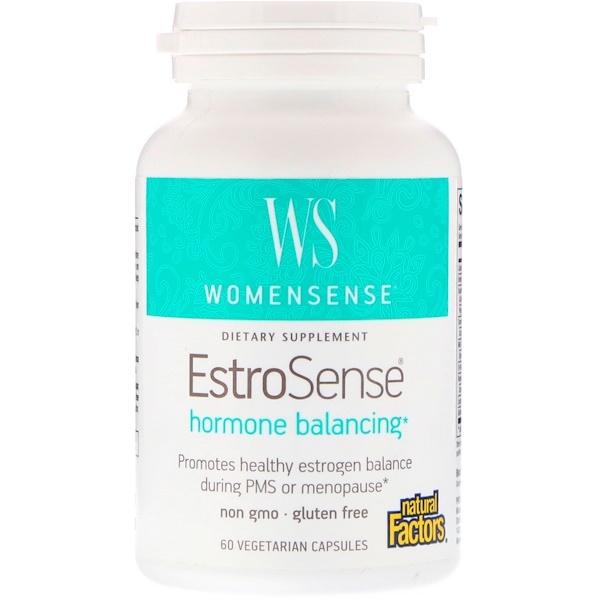 WomenSense is a line of products dedicated to helping women reach their full health potential. EstroSense is designed to support natural hormone balance during PMS or menopause and promote healthy estrogen metabolism. 2 capsules with food 1-2 times per day or as directed by a health professional. Microcrystalline cellulose, vegetarian capsule (carbohydrate gum [cellulose], purified water), magnesium stearate (vegetable grade), silica. Contains no artificial colors, preservatives, or sweeteners; no dairy, sugar, wheat, gluten, yeast, soy, egg, fish, shellfish, animal products, salt, tree nuts, or GMOs. Suitable for vegetarians/vegans. Cautions: As with any supplement, consult your health professional before use if you are pregnant, breastfeeding, or trying to conceive, or if you are talking medication, have a medical condition, or anticipate a surgery. Keep out of the reach of children.